I can’t imagine being blind, can you? Or deaf, but if I had to be one or the other and could choose, I would not choose blindness. I am immensely grateful for my eyesight and seriously sensitive, as I’m sure you are, to those who have lost their sight. I hold great respect for those who have adjusted to this difficult disability through the tedious process of learning braille, and trained themselves to do all the things that those of us who can see take for granted in our everyday lives. As much as we empathize with those who cannot see, we wouldn’t want someone who is blind leading another blind person through one of the busy intersections of Mesa, Arizona, my home city. It just isn’t a safe thing to do. 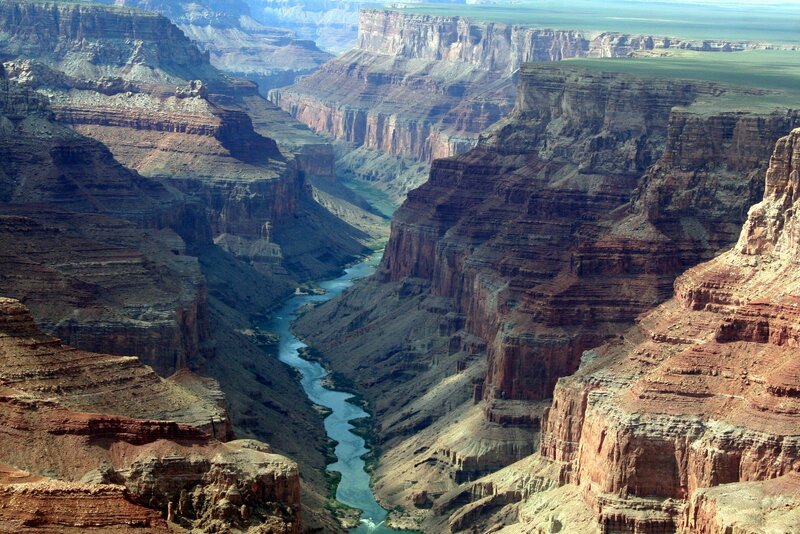 And certainly not one blind person leading another who is blind along (for example) a majestic but unguarded edge of the Grand Canyon, also in Arizona. Yet, spiritual blindness is ultimately far more dangerous than physical, because it literally is a matter of everlasting life or death. According to the Bible our eternal destiny is determined by our response to God’s offer of salvation. 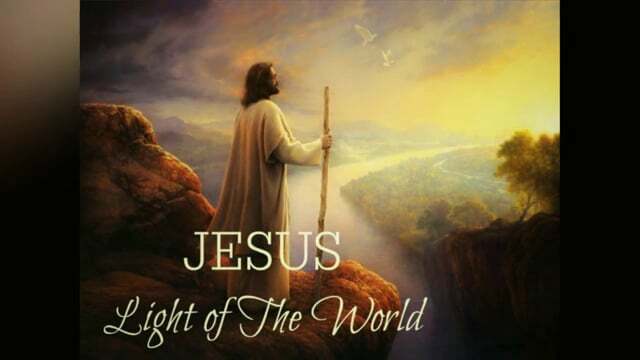 Even more specifically to the living Word of God, Messiah Jesus, who Scripture says has brought the Light of God’s salvation to the entire world. Despite miracle after miracle and despite profound words of wisdom through parables and plain teachings, the Jewish religious leaders refused to believe that Jesus was the Messiah and certainly not the Son of God. Even in the face of substantial Biblical evidence, the very idea that God has a Son is still heretical to Judaism. In spite of actual proof in their own Scriptures (Old Testament) of the eternal existence of Messiah, they simply could not and would not see who Messiah really was/is. Time after time the Pharisees and Sadducees tried to trap Jesus into saying or doing something contrary to the Law of Moses, including dozens of pious laws that they had added to the Torah. On one of these occasions, “Jesus replied, ‘And why do you, by your traditions, violate the direct commandments of God’” (Matthew 15:3). He then goes on to use a specific example of how the religious leaders desecrated the commandment to honor father and mother. Jesus then said to them: “You hypocrites! Isaiah was right when he prophesied about you, for he wrote, ‘These people honor me with their lips, but their hearts are far from me. Their worship is a farce, for they teach man-made ideas as commands from God’” (Matthew 15:7-9). Later, Jesus’s disciples said to him: “Do you realize you offended the Pharisees by what you just said?” (Verse 12). Jesus replied, “…They are blind guides leading the blind, and if one blind person guides another, they will both fall into a ditch” (Verse 14). Undoubtedly, some of these ditches are as big as the Grand Canyon! Or, perhaps, to coin a phrase: The blinder they are, the deeper they fall. Some twenty years later after Jesus arose from the dead and returned to heaven, the Apostle Paul wrote to the believers in Rome about this blindness. He states: “…Some of the people of Israel have hard hearts, but this will last only until the full number of the Gentiles comes to Christ. And so all Israel will be saved….” (Romans 11:25). I quoted this verse in last week’s article, but the textual emphasis in today’s article is that of blindness (to the truth of God’s salvation). Whether the word is hardness of heart (hard heart) or blindness as found in the King James Version, the meaning is the same … a spiritual blindness or a calloused heart caused by repeated rejection of Jesus, the author and mediator of the New Covenant foretold by Jeremiah. Paul goes on to say: “Many of the people of Israel are now enemies of the Good News, and this benefits you Gentiles. Yet they are still the people he loves because he chose their ancestors Abraham, Isaac, and Jacob. For God’s gifts and his call can never be withdrawn. Once, you Gentiles were rebels against God, but when the people of Israel rebelled against him, God was merciful to you instead. Now they are the rebels, and God’s mercy has come to you so that they, too, will share in God’s mercy” (Romans 11:28-31). With the exception of Messianic Jews the world over, what is it that the vast majority of Jews cannot or will not see, hear, and believe? What is the primary cause of their spiritual blindness that the Old Testament prophets predicted would befall them? Why do they dismiss out of hand the claims of Jesus Christ to be the only way to God, which he validated with his miraculous resurrection from the grave? As written by several authors, including me, the obvious reason offered by the Jews, themselves, relates to their rejection of Christianity as the perceived illegitimate child of Judaism BECAUSE some persecution of the Jews in the last 2,000 years has been at the hands of (so-called) Christians. If they are referring to the Roman Catholic Church and some true believers who have wrongfully supported the deceitfully erroneous concept of Replacement Theology (the Church has symbolically or spiritually replaced Israel), they are fairly accurate in this association. However, if they consider Hitler and his Third Reich as being Christian in principle or practice, they have mistakenly lumped this evil regime with true Christian believers. Nor, for that matter, was Germany anything resembling a (so-called) Christian nation. The Third Reich deliberately distorted Christianity to, in part, provide a warped rationalization for genocide. It was and will forever remain the most diabolical Big Lie about what true believers in Jesus Christ are and represent. So, when you combine Fascist Nazi Germany with Russian Communism (or even the Russian Orthodox Church which was also a cultic deviation of the true Church), and the Roman Empire’s (which hated Christians as much or more than the Jews) devastation of Israel leading to the Great Diaspora, what you get is a Satanic effort to eliminate the Jews through various cults and godless nations that were anything but true Christianity. Nonetheless, there are several prominent Rabbis in Israel and throughout the world who recognize the genuine concern and care that (particularly) evangelical Christians bear for Israel and the Jews, including me. 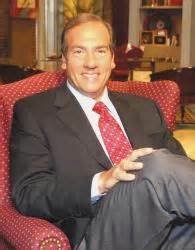 So much so that a well-known Israeli Rabbi, Yechiel Eckstein, founded an organization that has grown significantly in the past couple of decades, called The International Federation of Christians and Jews. Whereas, Rabbi Eckstein appreciates the cooperation and contributions made by so many Christian supporters of Israel, he stops far short of acknowledging Jesus as the Jewish Messiah. Which is representative of Israel’s partial blindness. Notwithstanding the misguided animosity that many Jews display toward Christianity, there is a deeper, more spiritual, and even theological motive for them to reject the New Covenant as recorded and presented in the New Testament. Most Jews, whether Orthodox, Conservative, Reformed, or even Liberal, believe in a Jewish Messiah who will one day (soon) bring redemption to Israel, rescue them from their enemies, and usher in an era of everlasting peace. But few Jews (again, with the exception of Messianic Jews) believe that their Messiah is Divine. Certainly not the Son of God as claimed by Jesus Christ and millions upon millions of people who have received him as their personal Savior … including tens of thousands of Jews. The biggest objection to Jewish belief in Yeshua (Jesus) as Israel’s Messiah Savior is that he cannot possibly be the Son of God. Why? Because the religious leaders of Judaism contend that God does not have a Son, nor can he possibly be a Triune God as The New Testament Scripture so clearly teaches … One God as God the Father, God the Son, and God the Holy Spirit. According to most Rabbis and observant Jews, whoever Messiah will be and whatever attributes he will possess, he will not be deity, as only God is Divine. Several Bible Scholars, including me, have frequently pointed to the historical evidence of the birth, life, teachings, death, and resurrection of Jesus Christ specifically fulfilling dozens of Old Testament prophecies of the coming Messiah. 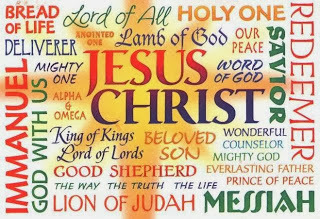 First to arrive as the Lamb of God Redeemer in the first century and establish the Kingdom of Heaven in the hearts of men and woman the world over; then to return as King of kings any day now to usher in the Everlasting Kingdom of God on the earth. In this article, however, we will examine Biblical evidence to affirm that God does have a Son and that the Son is co-existent with and equal to God, the Father. Moreover, that this Son of God is, indeed, The Messiah. Although there are more (chiefly, Isaiah Chapter 53), we will look at just three Old Testament passages that provide credible (actually incredible because of the remarkable revelatory disclosure) confirmation of this truth. Sadly Jews, especially the Orthodox have missed this or deliberately suppressed or twisted the evidence of their own Scriptures. Nearly all Bible teachers, whether Jewish Rabbis or Christian scholars, recognize this Psalm of David as one of the Messianic prophecies. This becomes especially evident in the second verse: “The kings of the earth prepare for battle; the rulers plot together against the Lord and against his anointed one” (italics for emphasis). The word anointed means divinely chosen or appointed. In this and other similar passages, most Jewish rabbis or scholars contend that the personal pronouns that clearly refer to the Son (King) apply to the nation of Israel. In this fashion, the attempt is made to explain away the notion that God is speaking to his Son or the Son to his Father, God. Whereas there are a handful of passages in which Israel is referred to as a son or daughter and occasionally personal pronouns he, him, she, and her are utilized, the contextual setting of those passages clearly show that God is speaking to or about Israel as a nation. Not so in this text and other passages in which the antecedents and grammatical syntax of the passage plainly are NOT referencing Israel. Although God sometimes refers to Israel as he or she, Scripture does not use the personal pronouns I or me for Israel, as though the nation Israel was speaking in the first or second person. Furthermore, the Anointed One is referred to as the Lord’s King (My King). Israel once had many kings, but Israel itself was not nor will ever be God’s King. In fact, that makes no sense at all. The King announces that “He” (The Lord God) has made (declared) the King, God’s Son. In this passage the word or concept Begotten linguistically, intrinsically, and contextually means a coronation or divine selection. An analogy would be the birthright of a Jew’s oldest (in this case only) son. As expressed in the New Living Translation from which I normally quote, “The Lord said to me (the King), ‘You are my son. Today I have become your Father’” (Verse 7). Time/space does not permit in-depth elaboration, but there’s simply no way that the personal pronouns in verse twelve or any other verses in this chapter apply to Israel as a nation. The text and context refer to God’s Son, who is the King; hence the Messiah. “Well said, Teacher!” remarked some of the teachers of religious law who were standing there. And then no one dared to ask him any more questions” (Luke 20:39-40, italics for emphasis). “Then Jesus presented them with a question. ‘Why is it,’ he asked, ‘that the Messiah is said to be the son of David? For David himself wrote in the book of Psalms: The Lord said to my Lord, Sit in the place of honor at my right hand until I humble your enemies, making them a footstool under your feet. Since David called the Messiah, Lord, how can the Messiah be his son?’” (Luke 20:41-44). Scripture doesn’t record their answer. With the unmistakable inference that they had no answer, because they could not answer this profound question! Why couldn’t or wouldn’t they answer the question? (1) Despite what their own Scriptures said, they refused to believe that there was anyone else the Lord God (The God of Israel) would call “Lord,” other than himself. (2) For that reason Messiah’s arrival through David’s lineage would be a natural birth only, as the idea of Messiah being God’s Son (therefore, existing before David) was simply incomprehensible to them … again, despite the irrefutable evidence of God’s Word. Which is why Judaism cannot accept and still denies the supernatural Virgin birth of Messiah Jesus. This verse specifically predicts the geographical place of Messiah’s origin, but much more than that. It tells the Jews and the whole world that Messiah is from the distant (timeless) past, with the convincing connotation that Messiah is Divine … God, himself, in human form. And, where was Christ Jesus born? Easy answer: Bethlehem. In fact there were two villages called Bethlehem at the time of Yeshua’s birth. Scripture is so amazingly accurate in its prophecies that the smaller of the two villages was identified … Bethlehem Ephrathah! What ancient origin and how distant is his past? Well, let’s take a look! “Then God said, ‘Let Us make man in Our image, according to Our likeness.’ (Genesis 1:26, NASB, italics for emphasis). Not once, not twice, but three times God refers to himself in the plural; no less in the very first book of the Bible. Jewish and Gentile Christians alike often refer to this incredible creation account to further affirm the New Testament references to Messiah Jesus and the Holy Spirit as part of the Triune God … The Godhead. That all Three in One were active in creation of man in their image. Us, our, or ourselves of Genesis 1 are patently plural. Except that is, for the very first chapter in Scripture that provides the monumentally significant fact that God is our Creator. Up front, the Lord wants us to understand that He is the one and only God, but that He is also a Triune God. Don’t ask me or any Bible scholar to adequately explain that. It is simply too much for the human mind to grasp. But since when does human intellect alone fully explain even half of the mysteries of the universe, let alone the inscrutable concept of a Triune God. We haven’t even yet figured out gravity. We know that it exists only because it must exist to explain why heavenly bodies stay where they are and why we don’t go spinning off into space. We know gravity exists only because of what it does. We have no clue where it came from, any more than we know where wind originates. If that were the case, why didn’t the Lord refer to himself in the plural when he gave the Law to Moses at Mt. Sinai, or on other tremendously important events throughout the Old Testament, such as the parting of the Red Sea? Moreover, I believe there is an absolutely obvious reason why the Lord rarely (if ever) refers to himself in the plural following the Genesis account. Once God disclosed the profound truth that he is God (the one and only God) who created the universe and all living things including triune man/woman, there was no need to continue the plurality when referring to himself. Although Moses, who wrote the Torah (first five books of Scripture) didn’t wholly understand the plurality of God’s existence because the Divinity of Messiah wouldn’t be revealed until later, it was or should have been understood that the Lord’s very essence consisted of the awesome Three in One God, who created man in that same plural image. Actually, the first reference to Messiah is also found early in the book of Genesis: “And I will cause hostility between you and the woman, and between your offspring and her offspring. He will strike your head, and you will strike his heel” (Genesis 3:15). Anyone who has even limited knowledge of the Bible will recognize that famous passage. It is God (the Father) passing judgment on the serpent (Satan) for deceiving the woman, who in the context of this event was a representation of (later to come) Israel. The “He” is none other than Messiah who would come from/through Israel (offspring), and who would be wounded by Satan (Jesus death on the Cross), but would then strike a fatal blow to Satan … conquering death itself. 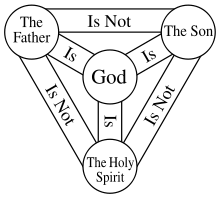 Not until we get to the New Testament and the birth, life, death, and resurrection of Jesus Christ, do we find several references to the Triune Godhead, although the word Trinity is not actually used. And there is certainly no ambiguity whatsoever: God the Father, Son, and Holy Spirit are intrinsically and irrefutably declared to be One God in Three (Divine) Persons. “Christ is the visible image of the invisible God. He existed before anything was created and is supreme over all creation, for through him God created everything in the heavenly realms and on earth. He made the things we can see and the things we can’t see—such as thrones, kingdoms, rulers, and authorities in the unseen world. Everything was created through him and for him. 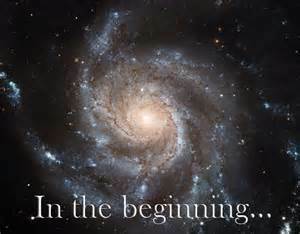 He existed before anything else (he is from the distant past, Micah 5:2), and he holds all creation together” (Colossians 1:15-17). And, “For God in all his fullness was pleased to live in Christ, and through him God reconciled everything to himself. He made peace with everything in heaven and on earth by means of Christ’s blood on the cross” (Verses 19-20). Stay tuned to next week’s Part II article as we present more stunning evidence from the Old Testament of specific appearances of God in human form. But since the Bible is crystal clear that no man can look at/on God (the Father) and live, the only logical and rationale explanation is that these Epiphany appearances were none other than God’s beloved Pre-Incarnate Son, Yeshua. Indeed, blindness is a tragically sorrowful condition of the human race. Physical deprivation of sight and spiritual absence of light in the world are conditions of fallen humanity. Whether physical diseases and disabilities or whether the spiritual disease of sin that leads to death, there is really no hope for mankind apart from God’s redemptive remedy. God created us to have fellowship with him, to live in a perfect paradise of light and peace. He gave us free will to choose him, his plan, and his ways and continue forever in that perfectly created condition. But we chose to go our own way by abandoning his plan for eternal happiness and rejecting his truth that would otherwise keep us safe and secure from sin and its horrible consequences … to allow the evil already introduced by Satan to infiltrate our minds and hearts. We made God in our image…. The Jewish Pharisees absurdly accused Jesus of being a sinner because on the Sabbath he healed a man born blind! This awesome miracle begs the question: Who was really blind? This humble, common man born blind profoundly replied to the Pharisees: “I don’t know whether he is a sinner … But I know this: I was blind, and now I can see!” (John 9:25). Then the Pharisees cursed the man and said, “You are his disciple, but we are disciples of Moses! We know God spoke to Moses, but we don’t even know where this man comes from” (Verse 28-29). The man replied: “Why, that’s very strange! He healed my eyes, and yet you don’t know where he comes from? …Ever since the world began, no one has been able to open the eyes of someone born blind. If this man were not from God, he couldn’t have done it” (Verses 30-33). “My light will shine for you just a little longer. Walk in the light while you can, so the darkness will not overtake you. Those who walk in the darkness cannot see where they are going. Put your trust in the light while there is still time; then you will become children of the light…” (John 12:35-36).